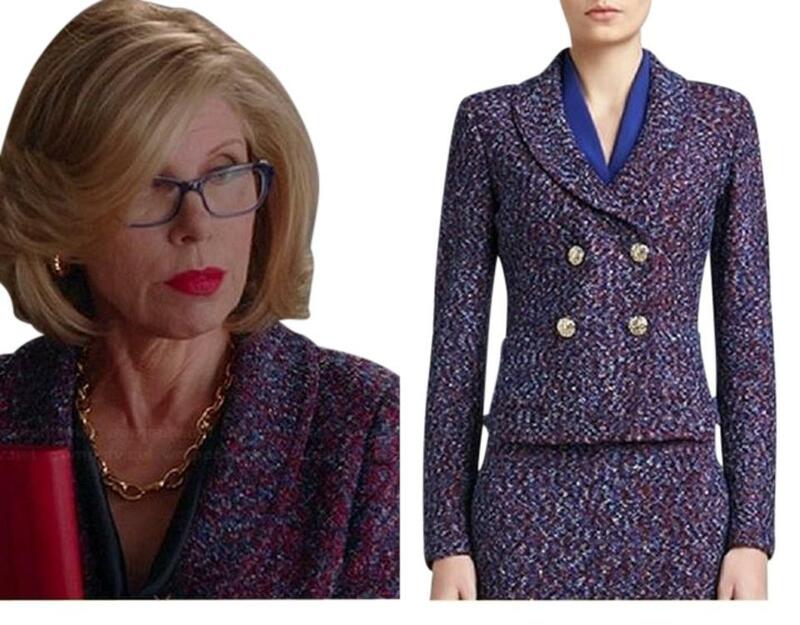 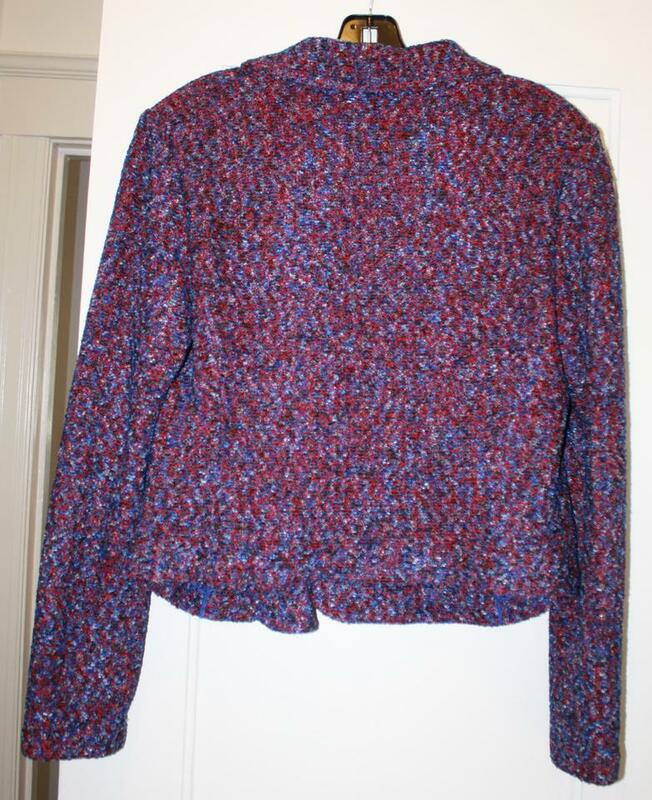 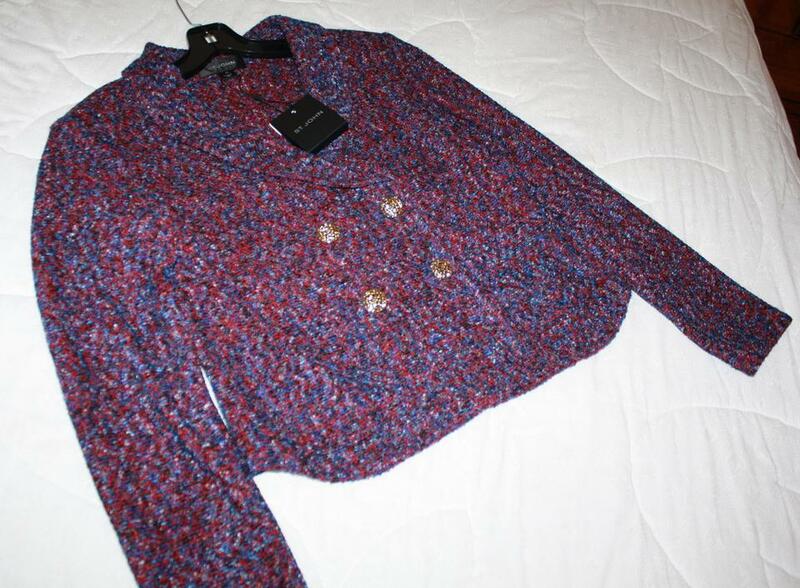 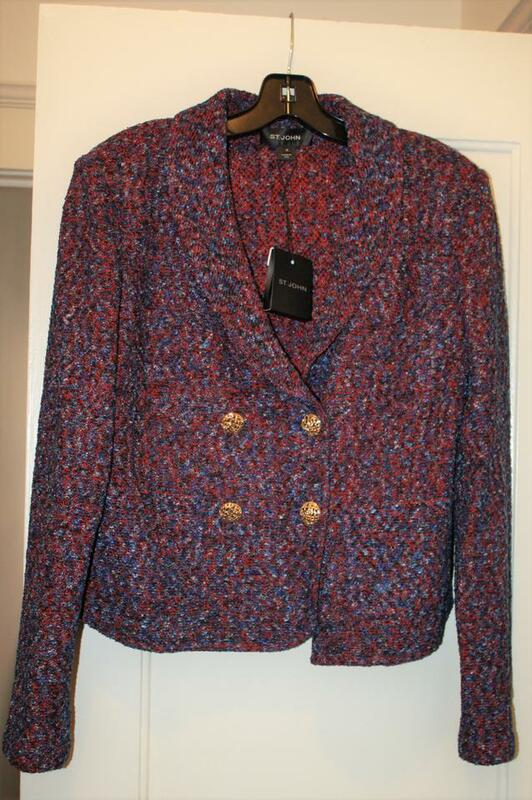 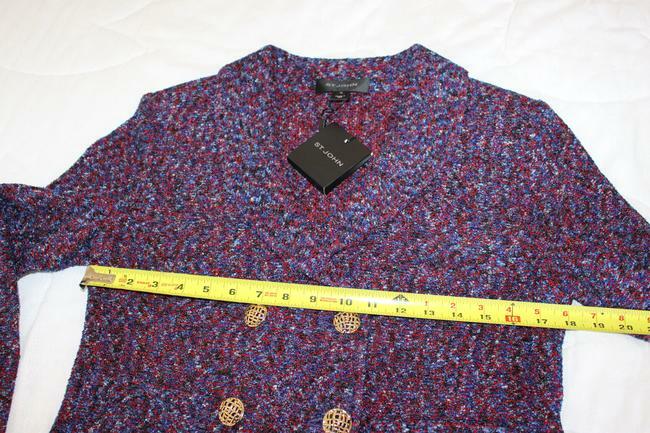 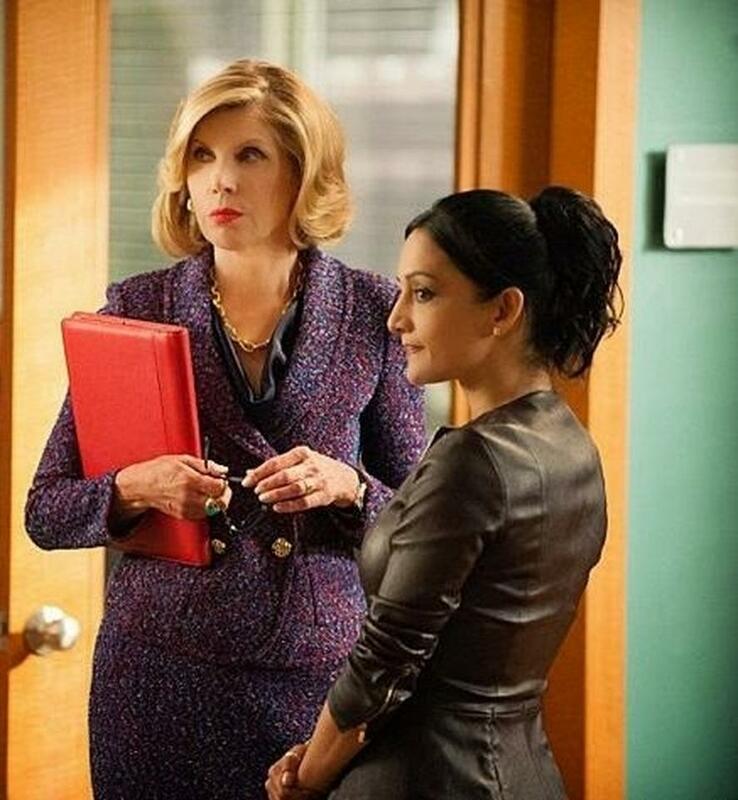 New with Tags St John "LOOP LASH TWEED" Double Breasted Jacket in Rayon/Polyamide/Wool knit - color Oceana Multi/Venetian Red, size 10.Worn famously by Christine Baranski (Diane Lockhart) on "The Good Wife". 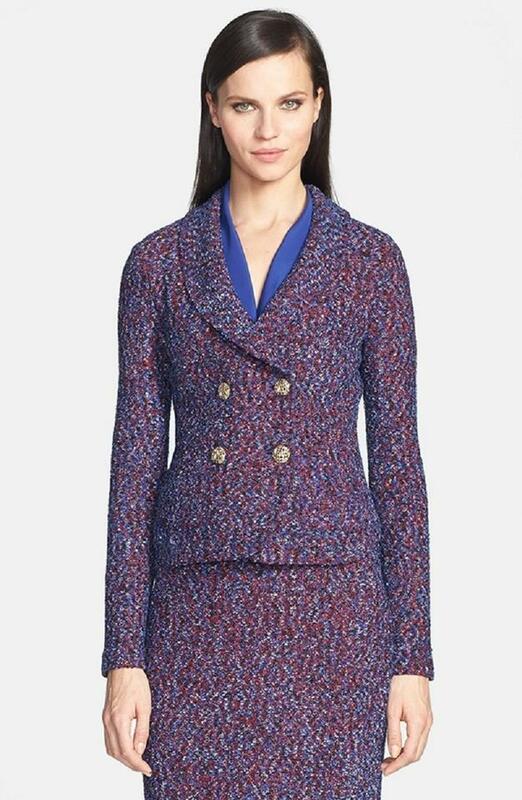 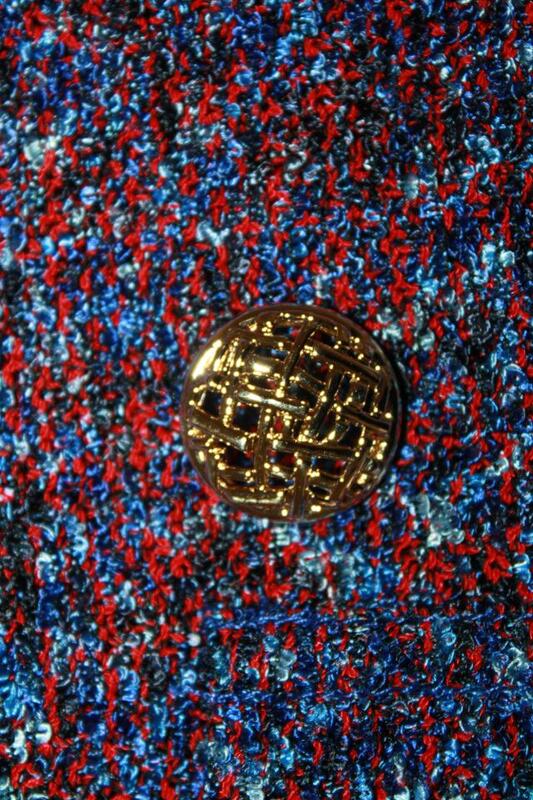 A lavishly textured tweed flecked with colorful yarns defines a lovely tailored jacket designed with an elegant shawl collar and a double breasted front closure. 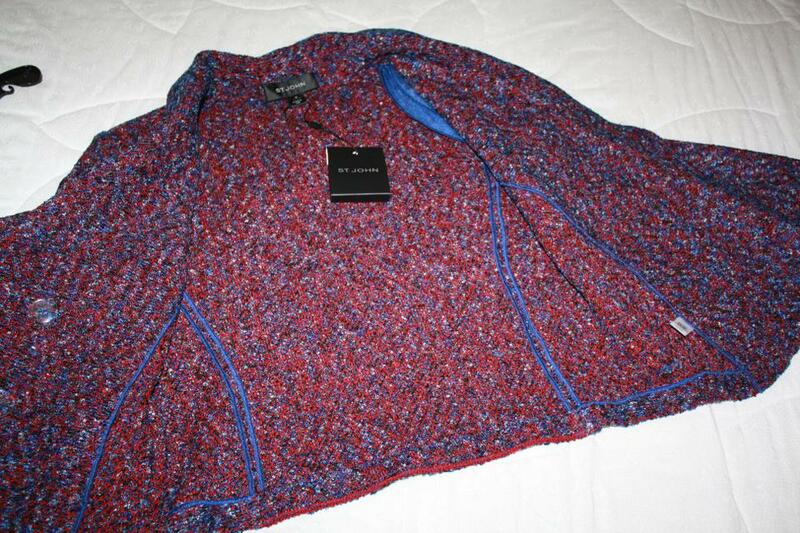 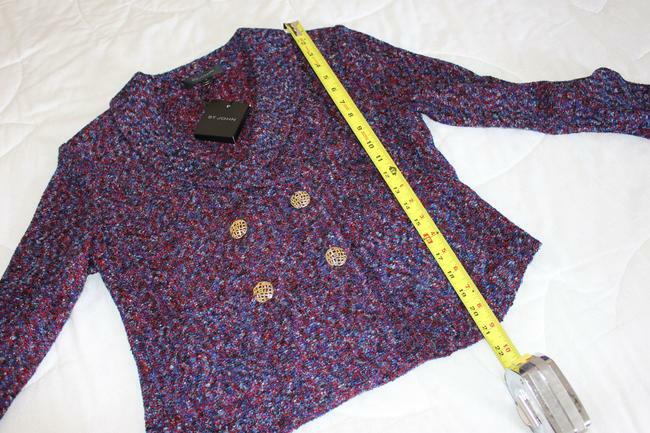 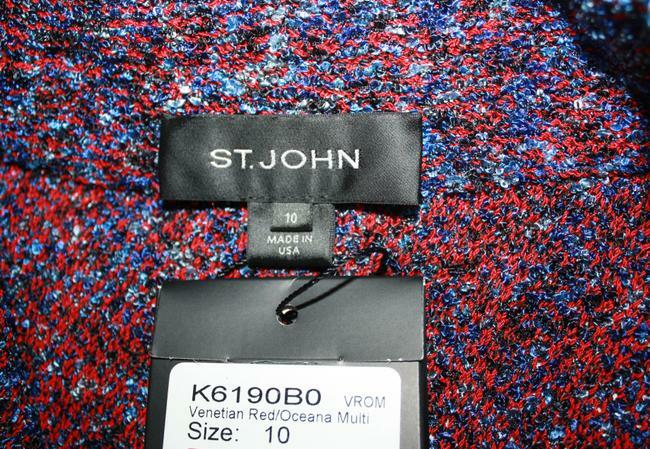 61% rayon, 28% wool, 8% polyester.